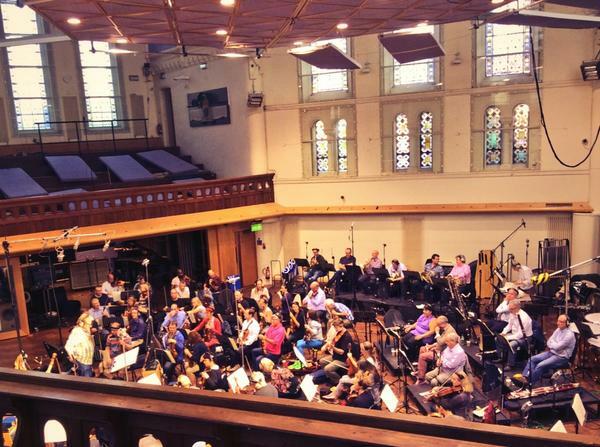 So the coolest opportunity ever for young musicians was held in the UK a while back: James Newton Howard, the composer behind each score in The Hunger Games franchise along with loads of other good films, invited over 2,000 student musicians to submit pieces meant for the Mockingjay Part 2 soundtrack. Then 24 of those pieces were chosen to be featured in the film! What a scoring session actually looks like! London, we expected. That’s the home base for pretty much any franchise that hits Europe. Paris has practically become a staple for The Hunger Games as well. We’re a little more skeptical about New York and here’s why: Technically, there’s been a premiere in NYC for every film in the franchise. But it’s what we’ll kindly refer to as a “Rich Kid Premiere”. Mostly private, held for the executives and distributors and important members of the press and their families. Fancy, but more quietly so. 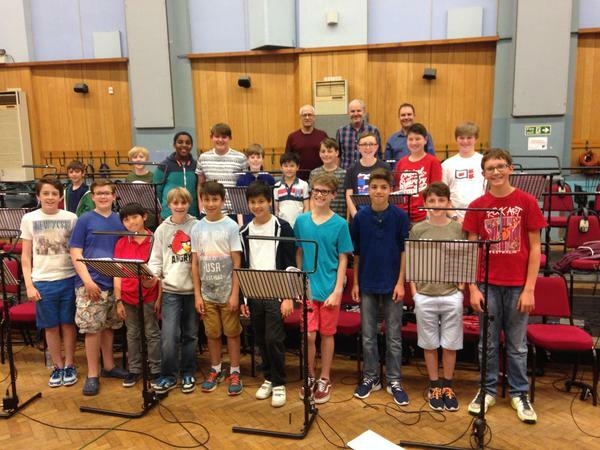 And the boys choir is back to make things sound eerie as well! And no, Lionsgate isn’t going to confirm anything at this stage. They don’t announce anything until juuuuust before it’s bound to happen. The premiere details will leak like a punctured water balloon all over the Internet before they confirm anything! It’s especially true for NYC if it’s another RK premiere– We know because we’ve asked about the New York promotion every year and Lionsgate never even acknowledges our question. Then again, a public NYC premiere for Insurgent was held last year, though that film didn’t get a LA premiere and The Hunger Games has a track record of LA premieres to uphold. So maybe the actual US premiere will hit NYC instead? We’re just getting our hopes up now, aren’t we?! Back to the students, it’ll be cool to see how JNH takes the student pieces and blends them in to form the overall arc, the highs and lows of the score that will offer so much to the final film. Just pick a really cool premiere destination, okay winners?! It’s Music To Our Ears! But I’m sure I entered a contest to win tickets to the LA premiere. I’m pretty sure t’ll be in La same as always.